KRC members are offered a One-Stop-Shop for everything you need to play tennis! Owner/KRC member Bryan Naff and his team are happy to be of service! Prince, Wilson, Head, Babolat, Volkl, all the biggest names in tennis, we have them all. Racquets, bags, clothes, shoes, grips, stringing, accessories, gifts, you name it and they have it or will find it for you! 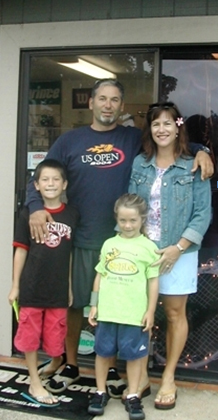 Started in 1999 the Tennis Hut has been a part of the KRC experience year in and year out. Stop in and say hello! They’ll be glad to see ya and you’ll be glad you did!